How Nairobi, Addis Ababa, and Kigali demonstrate the need for better urban master plans. Over the next 35 years, 700m people will flock to African cities, meaning there will be more than 1bn urban dwellers on the continent by 2050. This dramatic urban expansion offers African policy-makers a critical opportunity to design cities that can tackle the complexities of today’s world and satisfy the needs of the future. 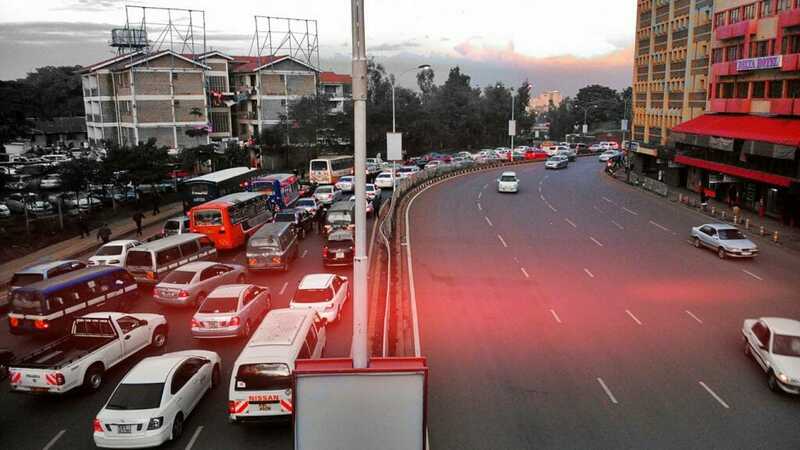 Nairobi’s infamous traffic jams and associated environmental costs are a reminder that the pace of urban infrastructure and service development is lagging far behind the demand in cities across the African continent and beyond. 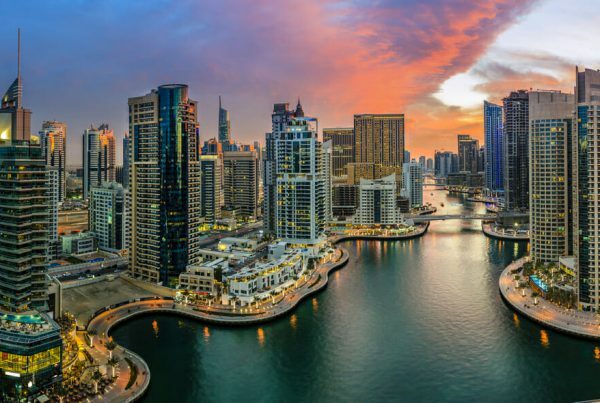 In emerging markets such as India and Brazil, soaring urban populations coupled with limited housing, transportation, and employment options have pushed urban planners to devise programmes and policies that leverage technology and community participation to improve the lives of the urban citizenry. However, India and Brazil continue to struggle in developing the level of infrastructure required to address the socio-economic challenges brought on by unprecedented urban expansion. But African economies have the opportunity to pro-actively address these same issues. In many African cities, less than 10% of the urban population has access to formal housing, while the rest is relegated to informal homes. At best, these people have access to rudimentary services. 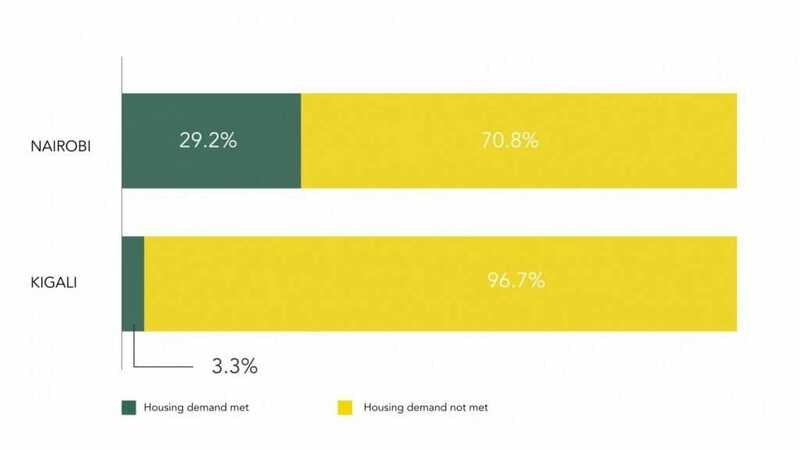 Fast growing capitals such as Nairobi and Addis Ababa have made some headway in designing inclusive public housing schemes, but challenges remain when it comes to building affordable residential units in a timely manner. While only 22% of Kenyans and 19% of Ethiopians live in cities, Nairobi and Addis Ababa are struggling to satisfy affordable housing demands resulting from the growing number of slum dwellers and informal settlers. Over the past few decades, administrations in both cities have devised low-income housing schemes that have failed to reach their targeted low-income beneficiaries and have instead benefitted a growing African middle class. The scarcity of adequate housing is a root issue that cuts across socio-economic classes. A recent study showed that Nairobi requires a minimum of 120,000 new units per year to meet demand, while only 35,000 homes are being built. Access to affordable housing is becoming an unattainable goal for the urban working population in Addis Ababa and Nairobi, where skyrocketing rental and property prices have excluded the working poor from accessing this basic necessity. In comparison, Kigali needs 30,000 housing units annually but supply is estimated at only 1,000 units per year. However, the Rwandan government drafted a master plan for the city with a clear vision that will leverage public and private institutions to ensure that Kigali has affordable homes and green transportation by 2040. Urban planning efforts in certain Latin American and Asian countries can provide important lessons, especially as they relate to improving living conditions in rapidly expanding informal settlements. 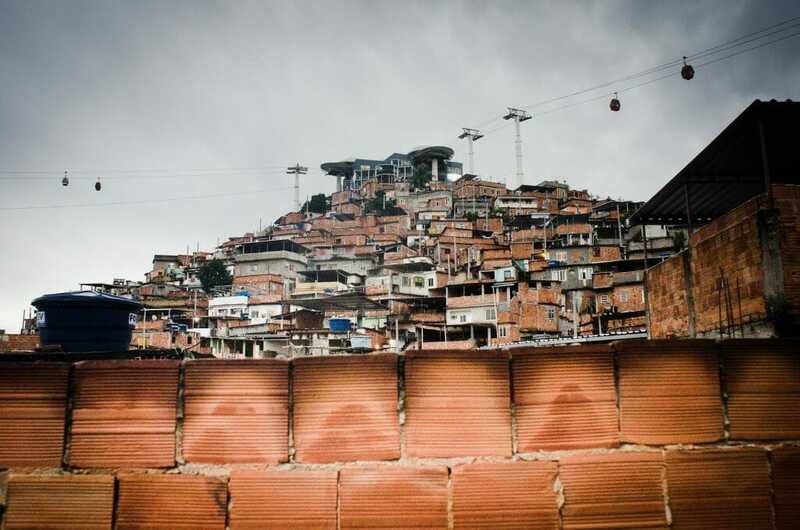 Rio de Janeiro, for instance, leads in the design of innovative and context-specific solutions to make up for, and ultimately find a solution to, inadequate levels of basic service provision in its informal settlements, commonly known as favelas (slums). Rio’s city administration gathers and shares real-time data on waste management, safety, sanitation, and transport conditions to resolve concerns through dedicated teams. An in-depth review of successfull urban planning experiences, approaches, and tools can contribute to building equitable and sustainable cities. Transportation is another important aspect of urban life that has a significant impact on the health and well-being of urban dwellers. Long commute times and a lack of efficient public transportation services negatively affect emissions and the economy of a city. Beijing is a classic example of a horizontally sprawling city incurring severe environmental and economic costs due to a poorly integrated and overwhelmed transport network. Nairobi, Addis Ababa, and Kigali have extracted lessons from the urban development experiences of other cities and developed master plans that set a clear path for the development of multimodal transport networks. These cities are pursuing multi-pronged approaches, including the promotion of cycling and walking, to tackle urban transportation bottlenecks while simultaneously promoting eco-friendly practices such as the prohibition of private vehicles from densely populated downtown areas in Kigali. At the same time, Addis Ababa City Council launched Africa’s first light rail transit (LRT) system. 15 The LRT is complemented by public buses and the expansion of urban road coverage to accommodate an increasing number of private cars and popular mini-buses. Growing diversification of public transportation services helps address the demand for clean and efficient transport. 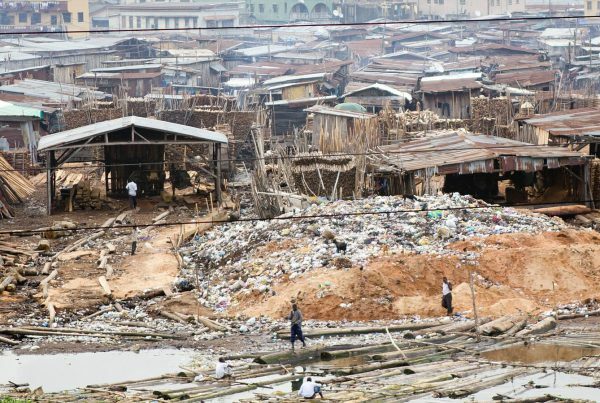 Africa’s often chaotic urban population growth can be better managed with an integrated strategy for urban land use, housing, transport, and natural resource management that leverages all segments of society and applies lessons and technologies from successful urban development experiences.